AAA State of Play Blog: How to Select a Swing Set? If you are not able to decide which playground equipment to buy for your park then we advise to select a wonderful swing set that runs high on fun factor. Kids can never get enough of swing sets. It’s really hard to explain how a child feels to be on it. 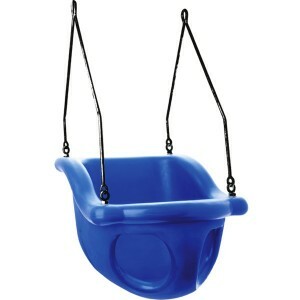 There is a wide variety of options available in swing sets. Now the question arises how to select the right swing set for playground. Swing sets are generally made up of different materials like metal, wood or aluminum. Before making the final call, ensure that the equipment you are opting for is made up of commercial grade material. It has to be dimensionally strong, sturdy and durable. The material used should not get degraded after a period of time. Ensure that you are purchasing the equipment from an IPEMA certified manufacturer. It defines he provides only superior quality playground sets to the customers. Make sure the manufacturer has followed the guidelines defined by ASTM and CPSC while making the playground equipment. Check there are proper bars, railings and other anchors installed in the requisite places in the set. While looking for the swing set, you would notice these are offered in two options; A frame and flat base. Select either of them as per the surface level of your community park. In case, you are purchasing swing set with flat base, install extender beams to make it stand firmly on the ground. It would be great if you purchase the equipment from the store who also offers requisite swing set accessories to the customers.